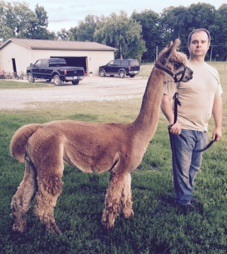 Circus City Quantum, Huacaya Male, White, Unproven, ARI 32748956, DOB 9/19/2014. 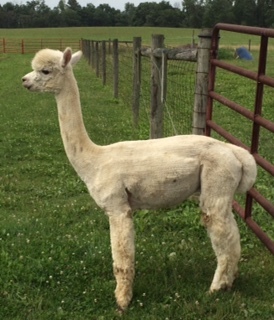 Quantum is a nice sized male, beautiful fiber 18.8 microns at a year old. Very pleasant and easy to handle. He has great coverage and staple length. Price $1500 Breeding Fee $500. Circus City Maxim, Huacaya Male, DB, Unproven, ARI 32709285. DOB 6/30/2017. Max has dense fiber;very soft and good coverage. This is his first year breeding. He will be available spring of 2018. 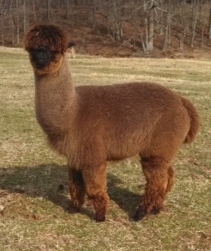 Microns 21.2 Price $1000 Breeding Fee $400. Perusoul Accoyo Optimist's Rondoy, Huacaya Male, White, Unproven, ARI 32725452, DOB 7/20/2013. Rondoy has excellent conformation. He has great coverage and density. We can't wait for his babies next year. He's very calm and has a beautiful head. Microns 19.2 Price $1500 Not Breeding at this time.